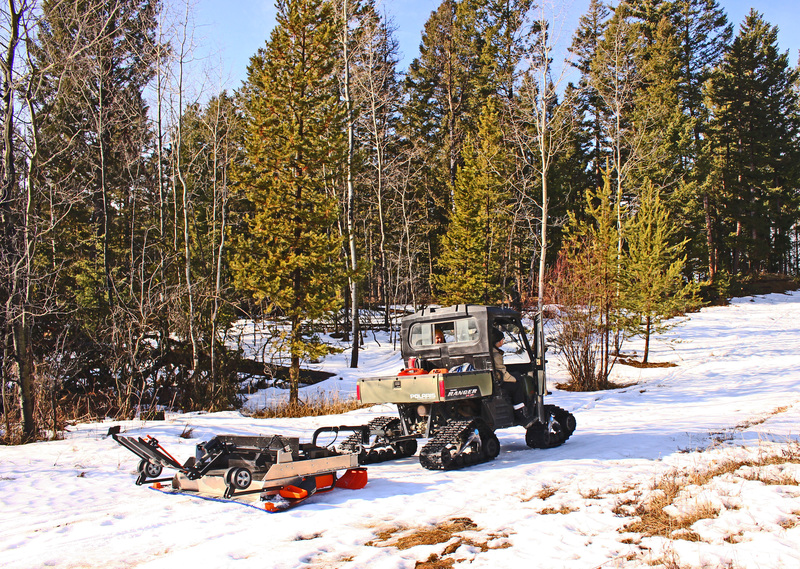 As soon as the first snowfall settles on the hills surrounding Logan Lake local volunteers and members of Highland Valley Outdoor Association transform the landscape into a 36 Km network of Cross Country Ski Trails with 2 Km of lit trails for night skiing. In the summer of 2013 the trail system was ungraded to include 7.5 Km of shared trails for both cross country skiing and & snow shoeing and also expanded with 5 Km of new snow shoeing only trails in time for this winter season. The trail system begins in Logan Lake at the end of Chartrand Avenue and extends out into the surrounding forest. Trails are groomed for both classic and skating techniques. The ski season usually starts in the first week of December and continues through March, weather permitting. In April or May, as soon as ground conditions allow, the trail system is open for summer use. The trails are ideal for hiking, horseback riding and mountain biking. Section 58 Motorized Vehicle Closure on trail system all year. This system is an unmonitored facility, use at your own risk. Please let us know if there are any problems on the trail system or the location of any downed trees by contacting us, see contact page. If you want to share any of your special pictures taken while visiting with us, please send them and we will put them on our webpage as space allows. Saturday, March 23: Trails closed for winter activities. Hikers please use designated hike/bike trails only, but expect snow patches in areas. Please stay off the XC trails until dry and clear of all ice, snow, mud and puddles. This will reduce the need for mud hole repairs. Thanks for your cooperation. Watch for your opportunity to lend a hand with trail maintenance.